Teenagers are notoriously hard to please, especially when it comes to holidays. Pick the right cruise ship, and you’ll be all set for the best family holiday ever. But get it wrong, and you’ll have a bored, sulky teenager to deal with! Read on to see what the top ships for teens are, including those with the best teen clubs and facilities to ensure they enjoy their time on-board as much as you do! What do teens love about cruising? 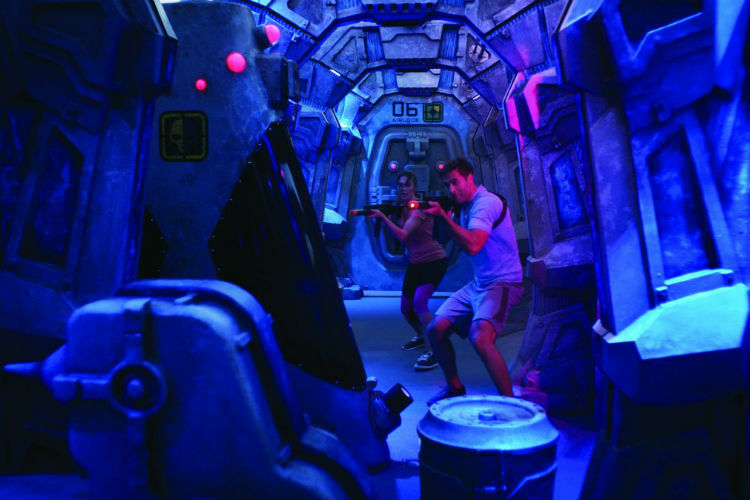 On today’s modern mega ships, there’s so much for teenagers to enjoy, with facilities galore! And it’s not just the ziplining, rock-climbing and waterslides they’ll love. Cruising allows teens to experience a unique kind of freedom, from wandering around the ship the size of a village or making new-found friends on-board, they will love exploring. And parents can relax, knowing that they’re in a safe space with lots to enjoy. 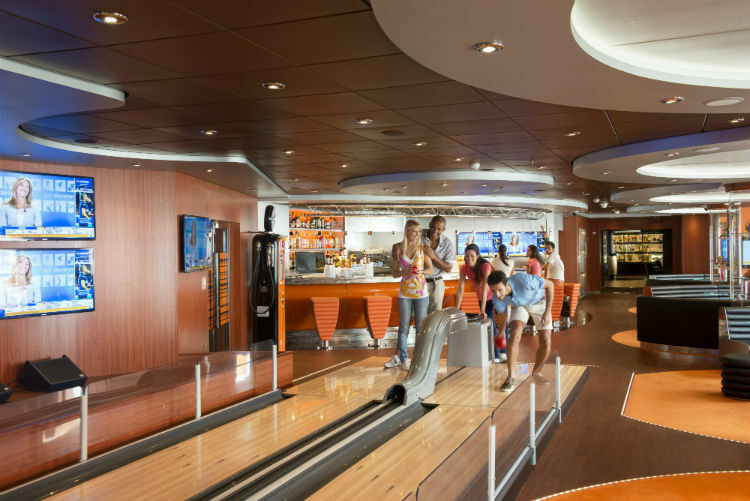 One of the best cruise lines for facilities that teens will love is Royal Caribbean. The newest ships are quite literally floating playgrounds – jam-packed with features such as ice rinks, miniature golf courses, go karts, water parks, surfing simulators, indoor skydiving, zip lines, virtual reality trampolines, escape room games and more! If there’s one thing that’s for sure, you’ll never hear the words ‘I’m bored’. Don’t go for any old ship in the Royal Caribbean fleet though, the newer ships have much more on-board than the older vessels, so be sure to research which features the ship you’re interested in has before you book. Another great choice is MSC Cruises. Always popular with teens, the newer ships take it up a notch with facilities such as waterparks, 4D cinemas and F1 simulators. There’s a great range of activities each day and in the evenings, teens can test their skills with karaoke competitions, dance-offs, movie trivia quizzes and challenges on the Wii, Xbox and PS4. 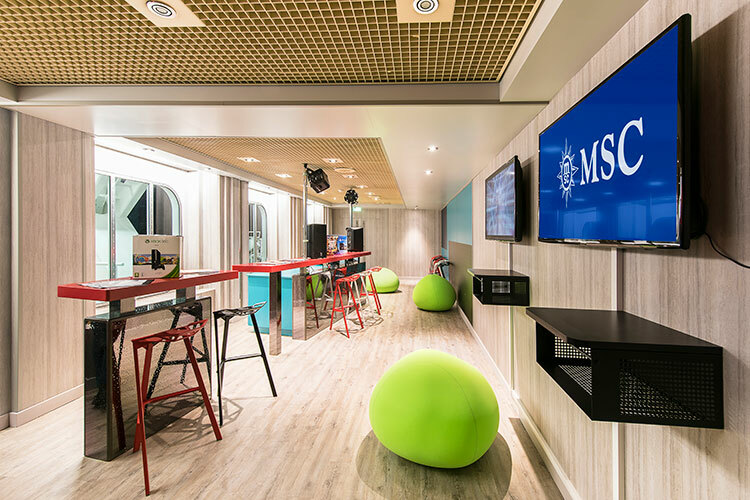 Plus, MSC Cruises are currently introducing hi-tech electronic bracelets for kids to wear, so that parents can look at an app on their phone or tablet and see exactly where they are. 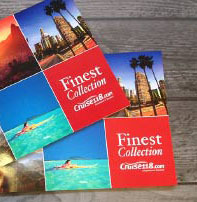 Norwegian Cruise Line is another great choice for teenagers. The waterslides on-board ships such as Breakaway, Getaway and Epic are, well, epic! 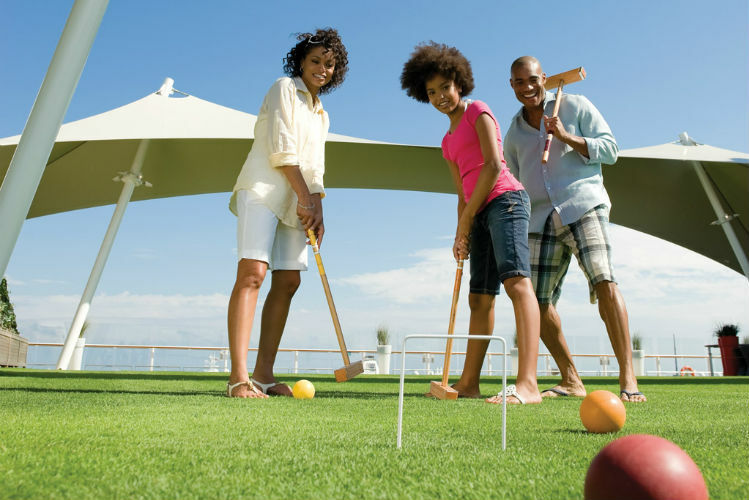 You’ll also find high ropes courses, go karts, laser tag, mini golf and a two-storey Wii wall. Oh, and there are pizza slices available 24/7. What’s not to love? Most cruise lines divide their teens into 12-14-year-olds and 15-17-year-olds. With parents’ permission, they can sign themselves in and out of the clubs, which are often open until around midnight. 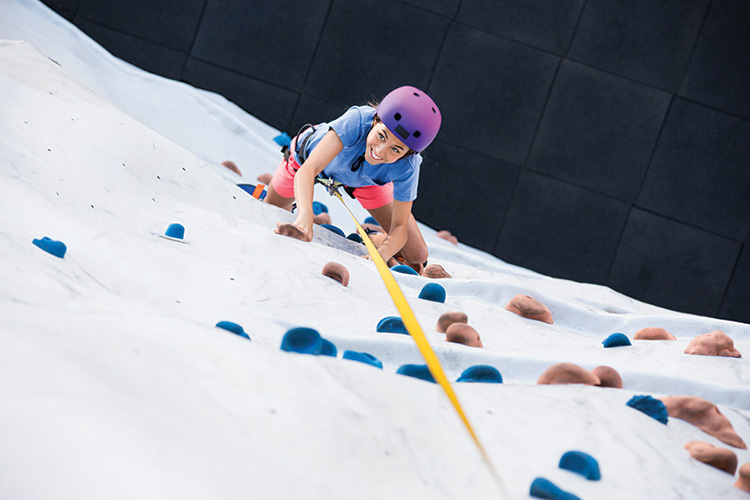 Rather than the organised activities of younger kids’ clubs, teen clubs are cool hangouts boasting oversized beanbags, numerous video games, big screen TVs and bars serving juices, smoothies and mocktails. The best teen clubs have outdoor areas and some even feature teens-only hot tubs. Cruise ship teen clubs cater for all different personality types, with sports tournaments galore, video game competitions, toga parties and late-night discos, as well as the opportunity to learn new skills. At Royal Caribbean’s Scratch DJ Academy, teens can learn to mix records, while on Princess Cruises‘ ships they can attend hip-hop dance classes. On-board P&O Cruises’ Britannia budding chefs can learn new skills in the kitchen, and Celebrity Cruises’ ships also have a host of secretly-educational fun activities such as film creating and editing and hands-on science experiments. With thousands of people on-board, you might not see your teen for days if you don’t arrange a place to meet. With so much fun to be had on-board, teens, and even parents can be easily distracted and miss the meeting time. If you always meet somewhere like the pool bar, you can at least relax with a drink in the sun while you wait. On-board a cruise ship, WiFi can be very expensive and also, frustratingly, slower than you may be used to at home. If your teen turns white at the thought of days without Snapchat or is itching to upload their holiday pics to Instagram, consider purchasing a ‘social media only’ package, which is now available on many ships. With a flat fee per day, this is much cheaper than the all-access WiFi packages and will keep your teens happy. When you’re in port, you shouldn’t have a problem finding free WiFi so you can all catch up on the world outside your cruise ship. If you’re in Europe, you may also be able to use your UK data allowance in certain countries, depending on your network provider. However, as soon as the ship leaves port, your phones will start using satellites to receive a signal in international waters and you’ll be charged heavily for this. So make sure that your phone, and also your kids’ phones, are switched to airplane mode as soon as you leave each port to avoid unwanted charges. Putting two adults and two teenagers in an inside cabin is possible, but isn’t recommended. Book them their own cabin and they’ll appreciate the privacy and so will you. Not to mention the extra space and the extra shower facilities. Usually, cruise lines state that under 18s must share with an adult, so you’ll need to book at least one adult into each room. But if you’re comfortable with swapping, nobody will check who sleeps in which bed at night. Just be sure to get an extra key card from guest services to avoid having to pound on the door to get them up for breakfast. A cruise is essentially a week-long party for a teenager, and there’s always potential for them to get carried away. Make sure you sit with them and lay down some rules so that they know exactly what’s acceptable behaviour and what isn’t. If you have any questions about cruising with teens, let us know in the comments below. Or if you’d prefer to speak to someone, our Cruise Concierge team are on-hand to answer all of your cruising questions, as well as helping you to find your perfect family cruise at the very best price. Just give us a call on 0808 1234 118. Jenni has been working in the travel industry for over 10 years. She fell in love with cruising on her first ever cruise, a Caribbean cruise on Allure of the Seas, during her honeymoon in 2013. Nowadays, Jenni enjoys cruising with her husband and two young children. Her favourite ships are family-friendly megaships which are packed with exciting facilities. She loves sea days and had been known to skip port visits to spend more time on the ship!